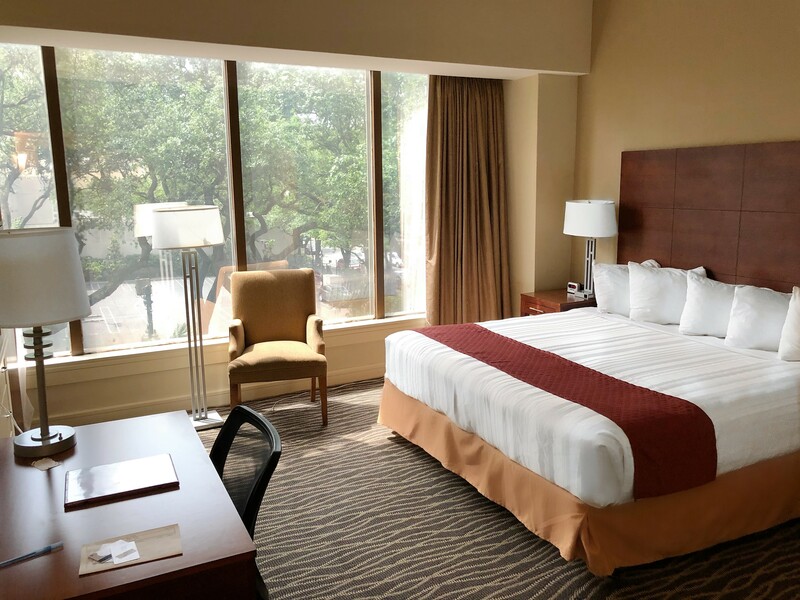 The Blake Hotel Make your day hotel stay enjoyable and comfortable by booking your day stay at The Blake Hotel. 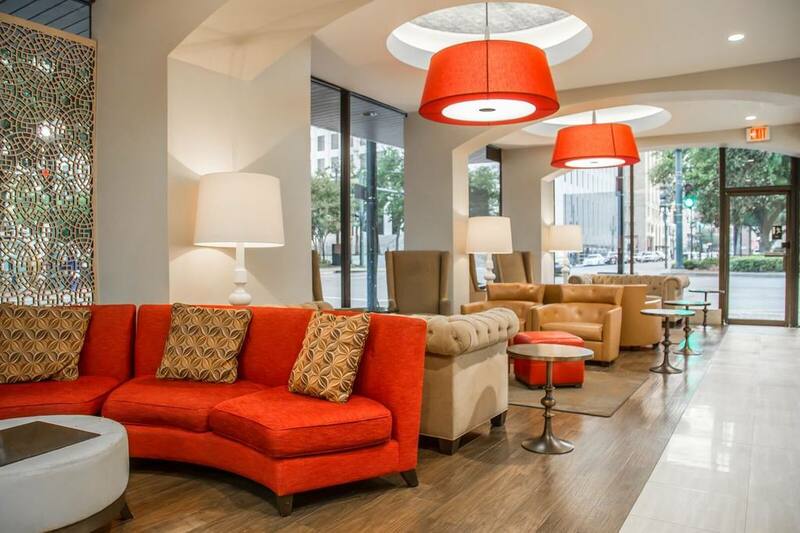 The Blake Hotel New Orleans is among the finest day stay hotels around. 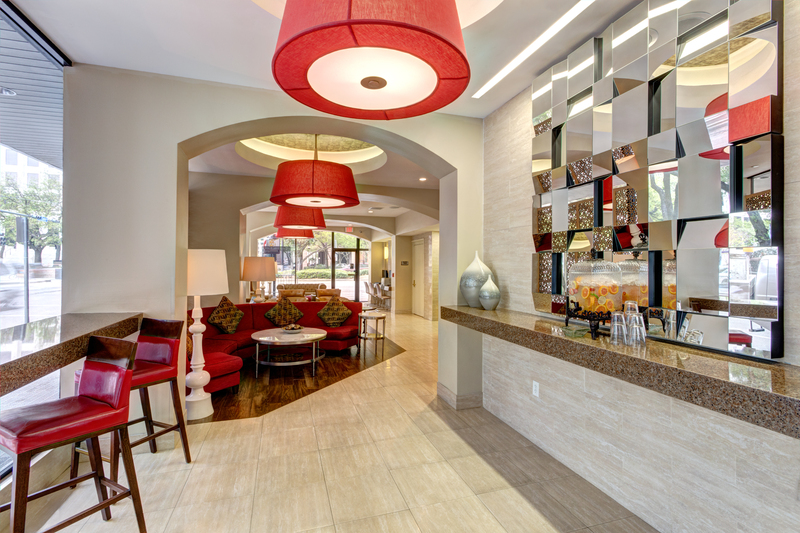 This newly renovated, beautifully decorated boutique, mixes sophisticated style with modern amenities. 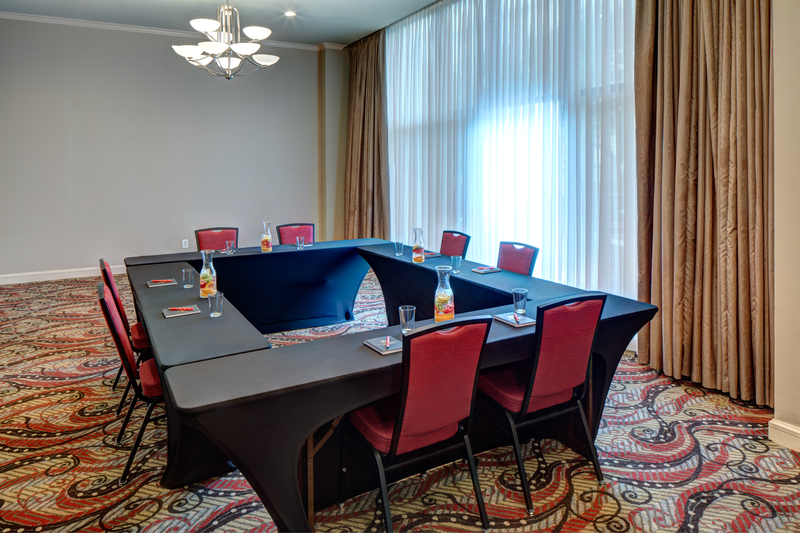 The day use hotel is conveniently located on the St. Charles Avenue streetcar line making it a breeze to take in all The Big Easy has to offer. 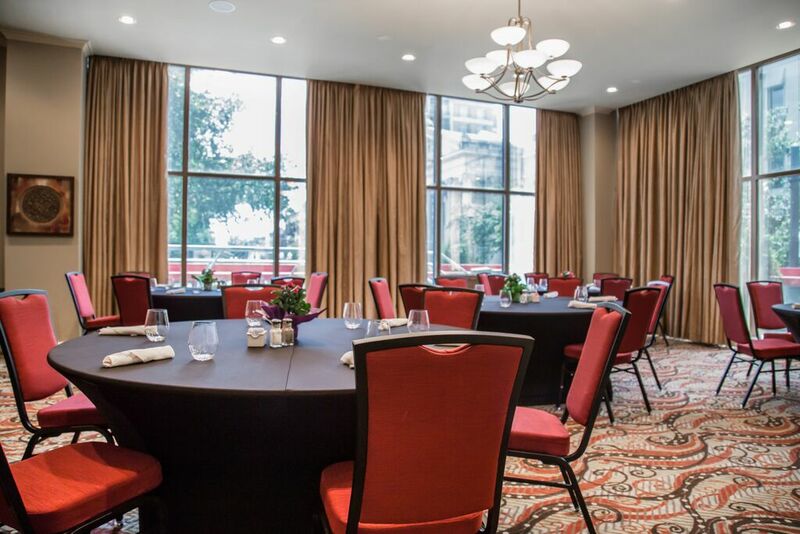 Their on-site Café on the Square, offering delicious local cuisine, makes it a great half day stay hotel to meet up with friends for brunch, lunch or dinner. 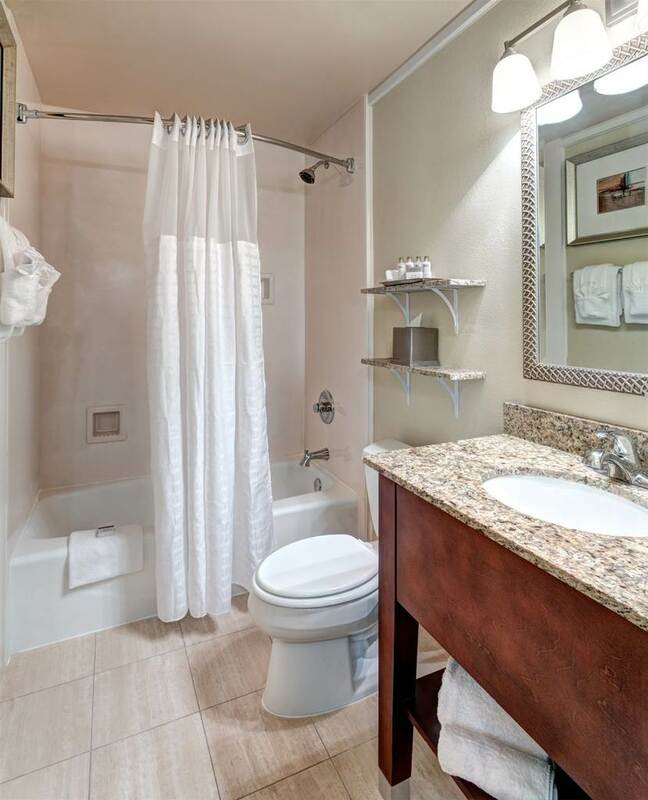 It’s also tailored for both business and pleasure travelers with popular amenities. 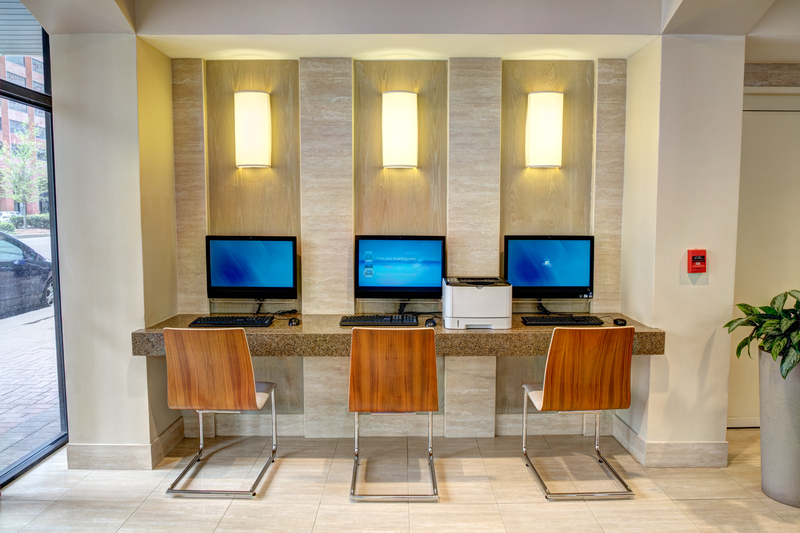 Their business center is stocked with computers and printers, and complimentary WiFi is available throughout the property. 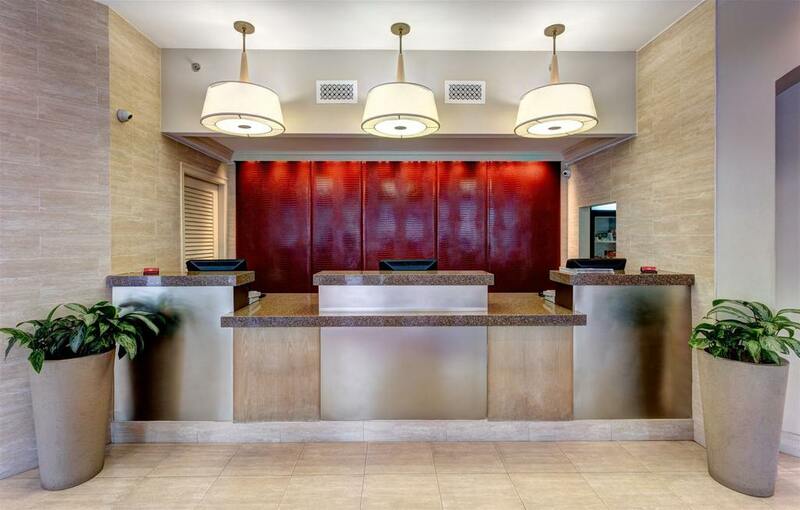 Singles and families alike will appreciate the 24-hour front desk service, tour assistance and nighttime security. The guest’s comfort and safety are paramount at this daycation destination. 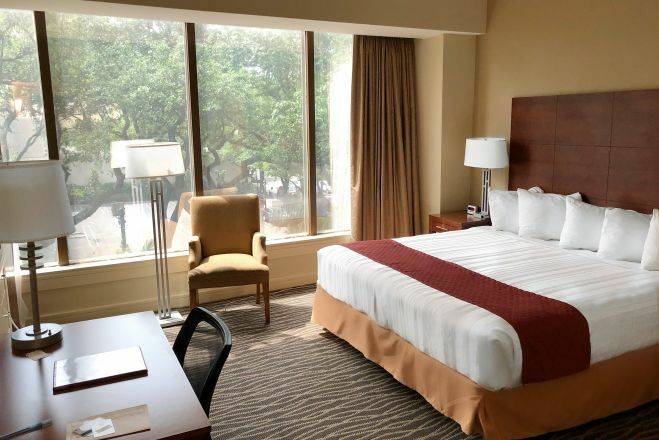 This daycay hotel is right in downtown New Orleans, a few minutes from Bourbon Street. It’s a mile away from the French Market and less than a mile to the French Quarter. It’s perfectly located to make the most of all the area is famous for and more. Audubon Aquarium of the Americas – Just minutes away from the dayuse hotel is one of the most amazing collection of sea creatures under one roof. Explore the many exhibits, including a walk-through tunnel surrounded by Caribbean reef, penguins and sea otters playing, and the many sharks, tarpon and sting rays featured in their 400,000 gallon tank. Animal advocates will especially love the ability to see their sea turtles – the Aquarium acts as a coordinator for the Louisiana Marine Mammal and Sea Turtle Rescue program. They rehab and re-release many of their nautical charges back into the wild. 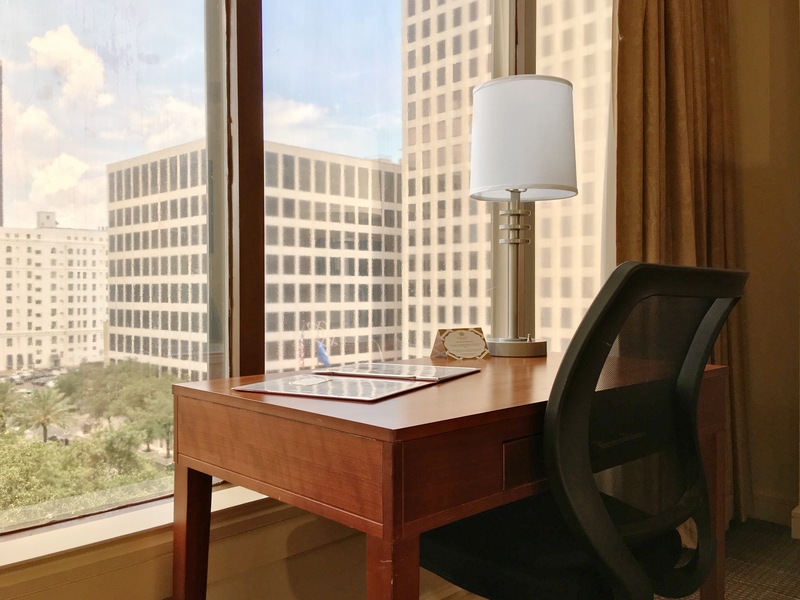 Lafayette Square – Basically across the street from the day hotel is one of the area’s most charming, and oldest squares in all of New Orleans. The 2.5 acre park is across from Gallier Hall, a Greek Revival building which served as City Hall for about100 years. It’s a popular spot for concerts and festivals, including a widely attended spring concert series called Wednesdays at the Square. 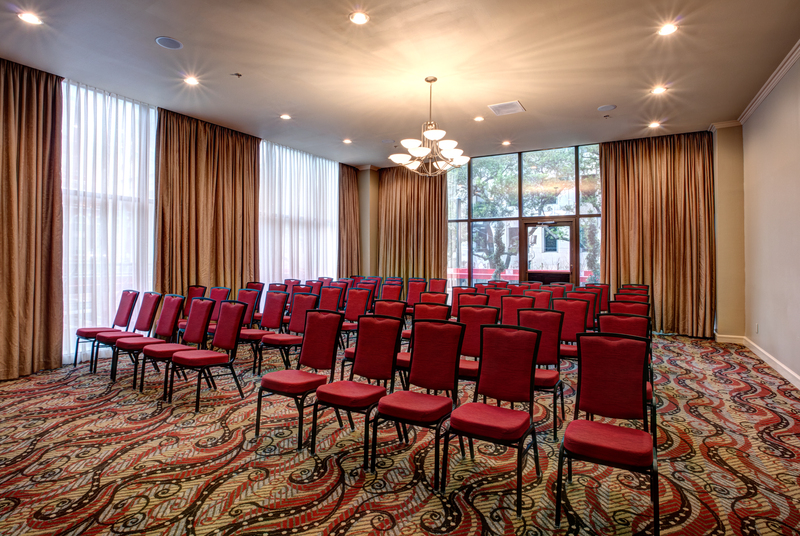 The space is also known for weddings, corporate events and parade-watching during Mardi Gras. 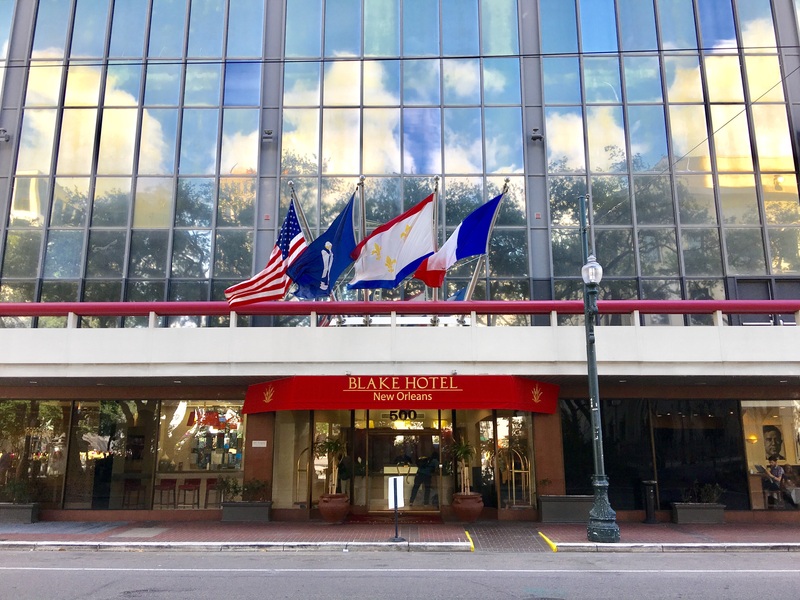 French Market – It’s three centuries of history within six blocks of shopping and it’s just about a mile from this relax hotel! For hundreds of years the French Market has been a proud accomplishment for the folks of New Orleans. The Market has been at the same location since 1791, but each year adds new boutiques, bakeries, butcheries and beyond. It began as a Native American trading post but it’s now a cultural, commercial and entertainment center in the Crescent City. 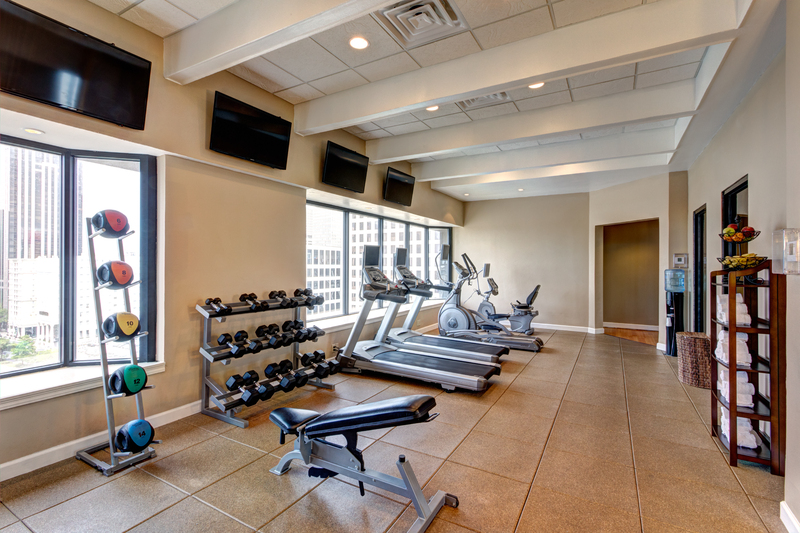 Fitness center – Onsite cardio machines and weights are available. Luggage storage & safety deposit box – Keep your valuables secure during your daycay. Room service – A wonderful way to feel pampered is by ordering up some sumptuous nibbles to your day use hotel room. 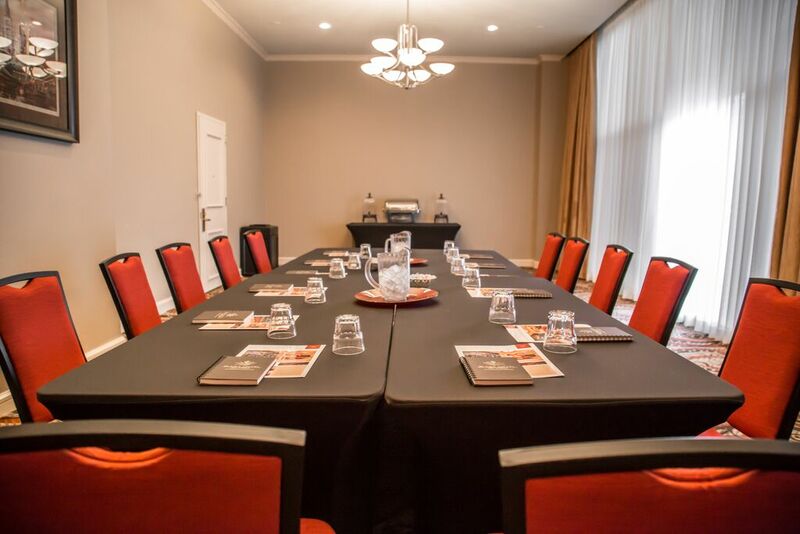 Parking – Temporary parking available for $20.00 + tax (cash only) or valet parking available for $39.00 + tax per night.